Thanksgiving is coming up on Thursday, Nov. 22, and we’re all ready for the big feast full of turkey, stuffing, mashed potatoes and cranberry sauce. However, for those with a sweet tooth, there’s an even better part of Thanksgiving – dessert! Thanksgiving desserts typically are full of pies in every variety, including apple, pumpkin and blueberry. 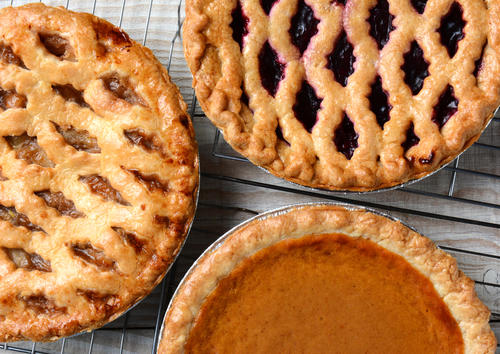 Luckily for us here in Jersey City, our area is full of tasty pie shops, which will certainly come in handy after you’ve already spent hours cooking Thanksgiving dinner! If you want to keep your guests happy after the main meal is over on Thanksgiving Day, then make sure you stop by these bakeries well before the big day. Hurry though, they’re taking orders as soon as possible! GFG Bakery Café, located at 221 River St, Hoboken which is about 20 minutes from your Lenox apartment, is a reincarnation of the owners’ Greek culinary and baking past on a mission to make their neighborhood seem a bit more like home – where you can always count on simply good food! To find out what they’re baking up in the pie department, stop by their shop to see what’s been freshly made. However, classic apple pies and apple pie crumbles are always on the menu, so you can always count on these staples here. Monteleone’s, located at 741 Newark Ave, Jersey City which is about 10 minutes from your Lenox apartment, is a traditional bakery turning out Italian pastries from cakes and cannolis to pies and eclairs. This old-school bakery has been a favorite for generations and for good reason – they offer it all, including, of course, scrumptious pies that will keep everyone at your Thanksgiving table happy. Plus, you know you’ll be treated like family from the moment you walk in the door! 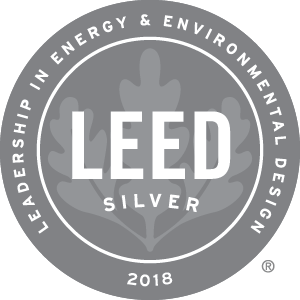 LEED®, and its related logo, is a trademark owned by the U.S. Green Building Council® and is used with permission.